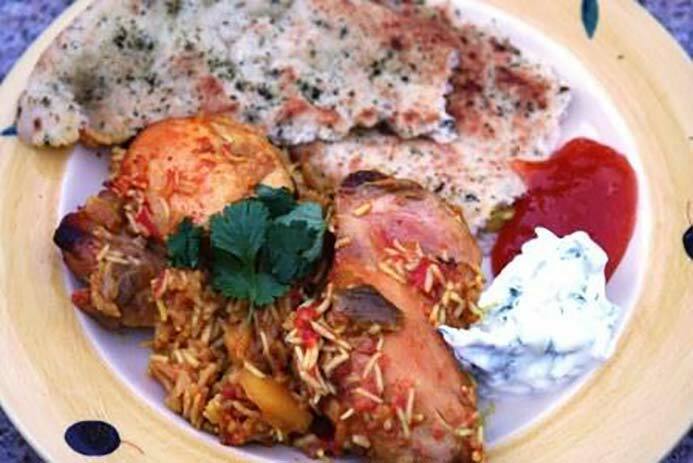 Baked Mango Chicken Curry Recipe served with Mint and Cucumber Raita. 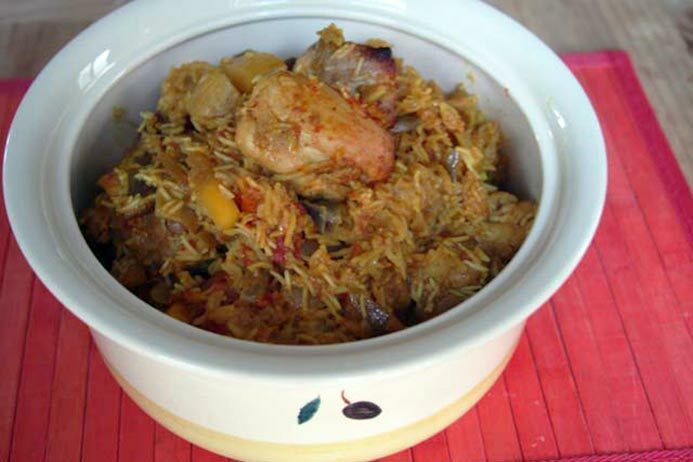 This is my creamy, one-pot, Baked Mango Chicken Curry Recipe. How exciting, my first blog post. For this post, I decided to do a foodie topic and post an original recipe, as it is totally less nerve-wracking than writing about myself, although that will come in time. The inspiration for this post comes from a cookery demonstration by Rozanne Stevens that I enjoyed last month. Roz cooked an unusual dish called Flying Jacob and I wanted to do something along the same lines. Pre-heat oven to 200°C / 180°C fan assisted / 400°F / gas mark 6. 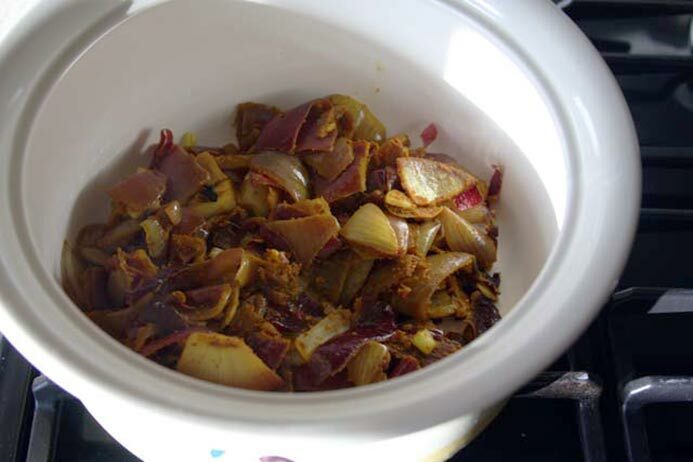 Add oil, onions and garlic into a stovetop-proof casserole dish and gently cook for five minutes until soft and translucent. Stir in the garam masala and turmeric and fry until the spices smell nice and toasty. Place the chicken in the dish and cook for a further ten minutes to brown. Dunk in the tin of tomatoes. Pour over the cooking cream. Pour in the stock or water. Give it a good mix around and put it in the oven. 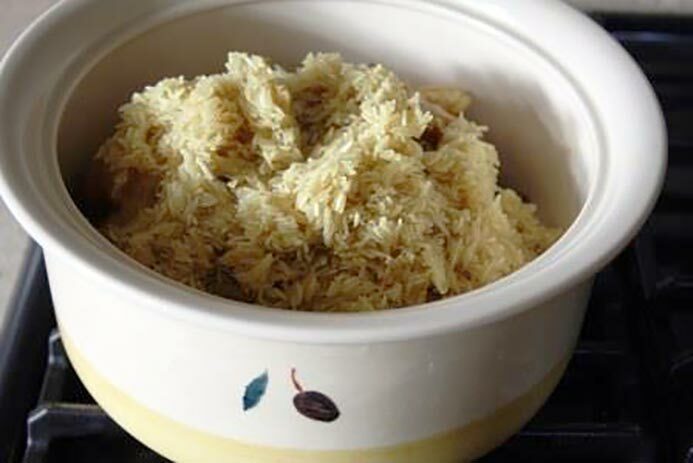 Leave it to cook for 45 minutes or until the rice is cooked to your liking. That’s it! Simple stuff, right? Now, take a deep breath, savour the delicious aromas and imagine you are in an exotic place having your taste buds teased by the local cuisine. Cooking should always be this relaxing and enjoyable, especially when you factor in the little amount of washing up. 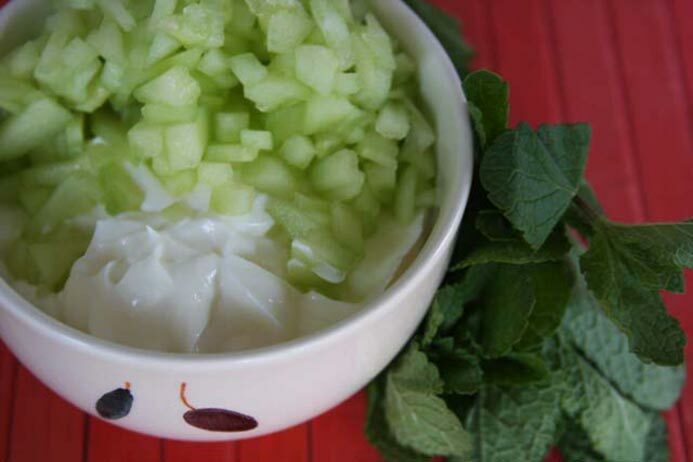 So, with all the free time you have on your hands, now that they aren’t doing the dishes, why not whip up a quick, cooling, cucumber and mint raita to serve with your Mango Chicken Curry Recipe? All you have to do is mix the three ingredients together and then chill in the fridge until ready to serve. And there you have it, my creamy baked Mango Chicken Curry Recipe with cucumber and mint raita. 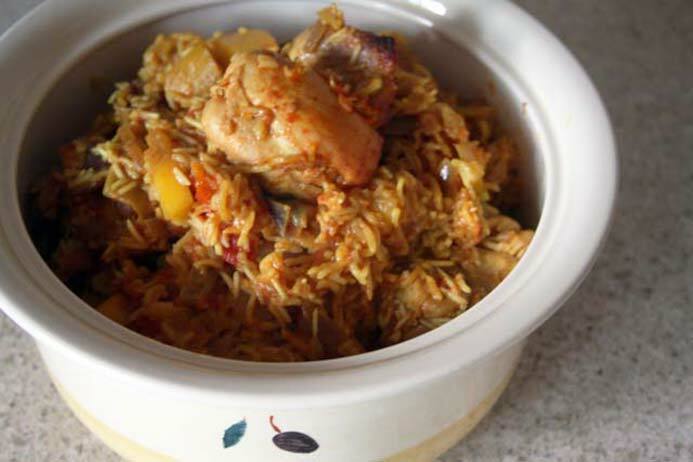 Quick, easy and tasty, just like your man next door! Wha? UPDATE: I entered this recipe into a cooking competition and it didn’t win! But, it did come second. Check it out on the Cook with Avonmore website. If you want to check out the hamper that I won for coming second in this competition, you can have a nosey at my prize winning recipe blog post. 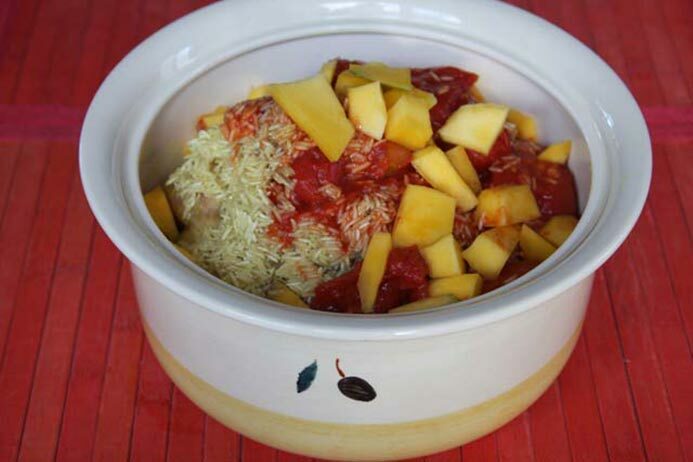 So, what do you think of my baked Mango Chicken Curry Recipe? Did you try it out? Did you like it? What improvements would you make? Share a photo of your own attempt at this recipe or leave any feedback and comments below, I’d be delighted to hear from you. 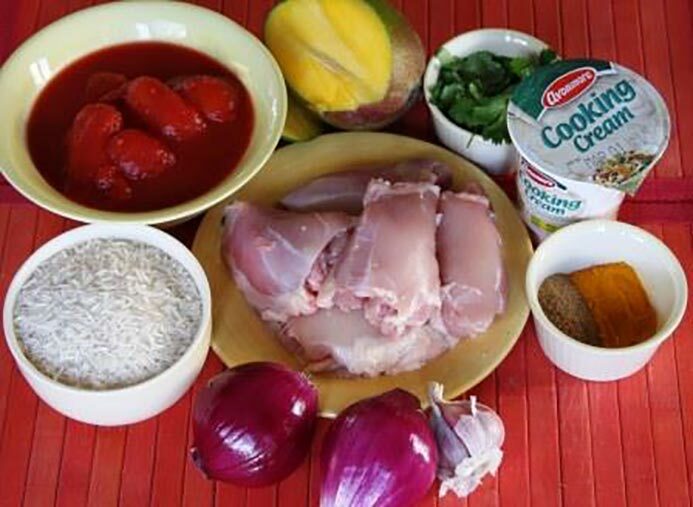 If you like this Mango Chicken Curry Recipe, please share with others. Hey this looks fab. Im goin to give it a try next week. Handy dins. Is it very spicy? Also do i have to debone the thighs. 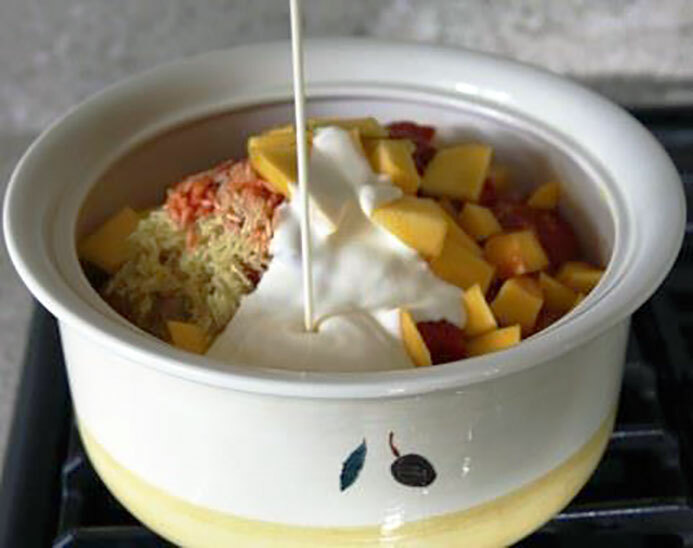 You don’t have to debone the thighs and it really isn’t spicy at all as the coconut milk / cooking cream, mango and tomatoes balance any spice out. If anything, I would add more spice!